New from Battlefield Legends! 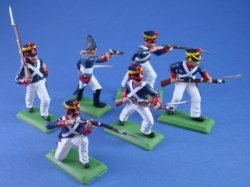 We are pleased to offer the Britains Deetail DSG line of 54mm Napoleonic Wars figures and sets. Each figure is hand painted to the highest standards and ready for play or display. 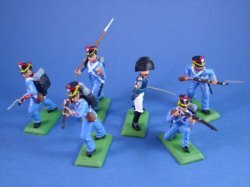 This new collection includes French Line Infantry, French Foreign Grenadiers, French Imperial Guard Chasseurs, Prussian Infantry, Spanish Infantry, and British Infantry as well as mounted sets and supply wagons. See them all today! All figures are attached to a sturdy plastic base. New from Battlefield Legends! A commemorative collection of DSG Napoleonic Foreign Grenadiers! These highly detailed troops are meticulously hand painted to the highest standards and ready for display. New from Battlefield Legends! A wonderful commemorative collection of legendary Napoleonic French Imperial Guard Chasseurs on foot by Deetail DSG. These highly detailed 54mm (1:32nd scale) figures are meticulously hand painted to the highest standards and ready for display. New from Battlefield Legends! 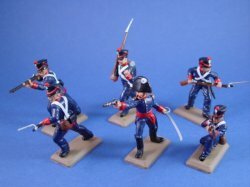 A commemorative collection of DSG Napoleonic French Line Infantry! These highly detailed troops are meticulously hand painted to the highest standards and ready for display. 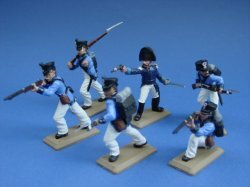 This limited edition set includes five infantrymen and one officer in six unique poses. Truly a very interesting and hard to find collector's item. 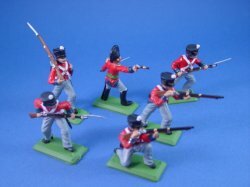 A great addition to any Napoleonic collection or historical diorama. New from Battlefield Legends! A wonderful commemorative collection of legendary Napoleonic French Imperial Guard Chasseurs by Deetail DSG. 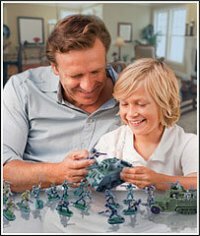 These highly detailed 54mm (1:32nd scale) figures are meticulously hand painted to the highest standards and ready for display. New from Battlefield Legends! 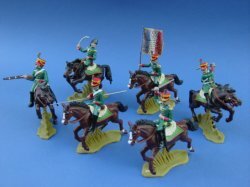 A commemorative collection of DSG Napoleonic Wars Prussian Infantry! These highly detailed troops are meticulously hand painted to the highest standards and ready for display. This limited edition set includes five infantrymen and one officer in six unique poses. Truly a very interesting and hard to find collector's item. New from Battlefield Legends! 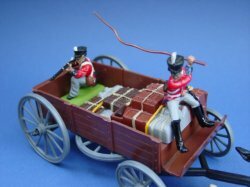 A wonderful British Army supply wagon set suitable for your Napoleonic Wars collection or Waterloo diorama. These highly detailed Britains Deetail DSG 54mm (1:32nd scale) figures, wagon and accessories are meticulously hand painted to the highest standards. New from Battlefield Legends! 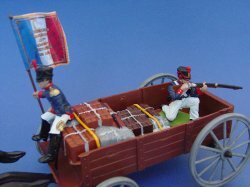 A wonderful French Army supply wagon set suitable for your Napoleonic Wars collection or Waterloo diorama. These highly detailed Britains Deetail DSG 54mm (1:32nd scale) figures, wagon and accessories are meticulously hand painted to the highest standards. New from Battlefield Legends! A commemorative collection of DSG Napoleonic French Chasseurs de Flessingue in 1812 uniform! These highly detailed troops are meticulously hand painted to the highest standards and ready for display. New from Battlefield Legends! A wonderful collection by Britains Deetail DSG commemorating the Napoleonic Wars. 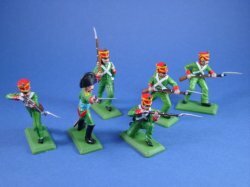 These superbly detailed French Infantry figures are meticulously crafted and hand painted to the highest standards! New from Battlefield Legends! 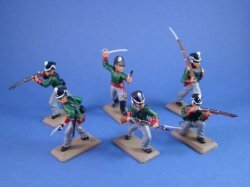 A commemorative collection of Napoleonic Wars British Infantry Regulars! These highly detailed troops are meticulously hand painted to the highest standards and ready for display. New from Battlefield Legends! A wonderful collection by Britains Deetail DSG commemorating the Napoleonic Wars. 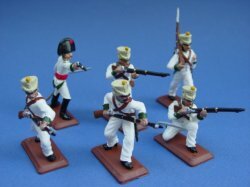 These superbly detailed Spanish Infantry figures are meticulously crafted and hand painted to the highest standards!